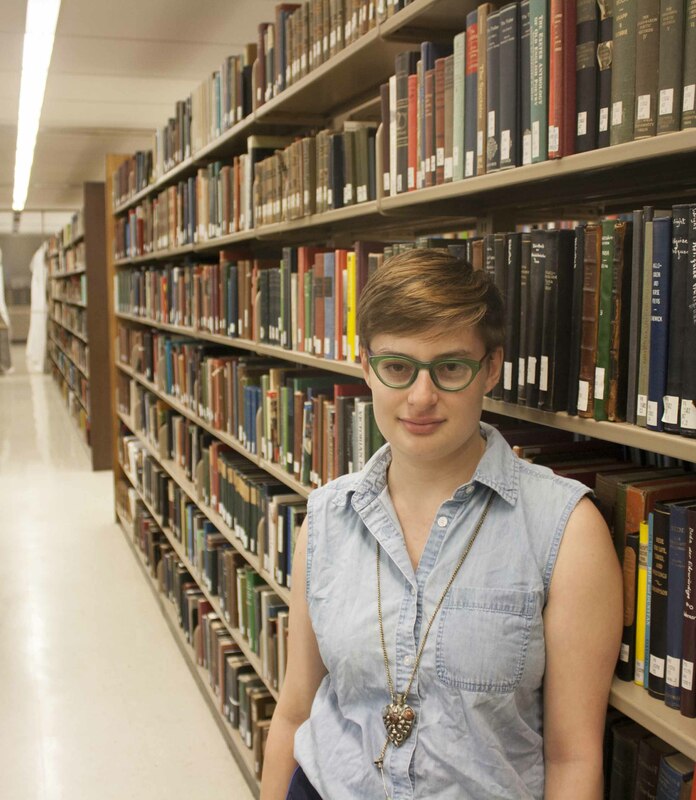 This entry was posted in Features, Guest posts and tagged Brenna's posts, Bryn Mawr College, Canaday Library, Connecting the past with the present, LGBT, Project updates by Monica L. Mercado. Bookmark the permalink. 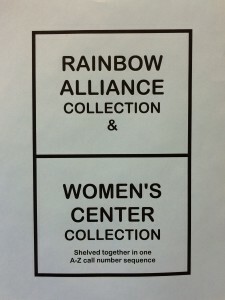 As president of the Rainbow Alliance from Spring 2002- Fall 2003, I know they were in Erdman in the RA space there. 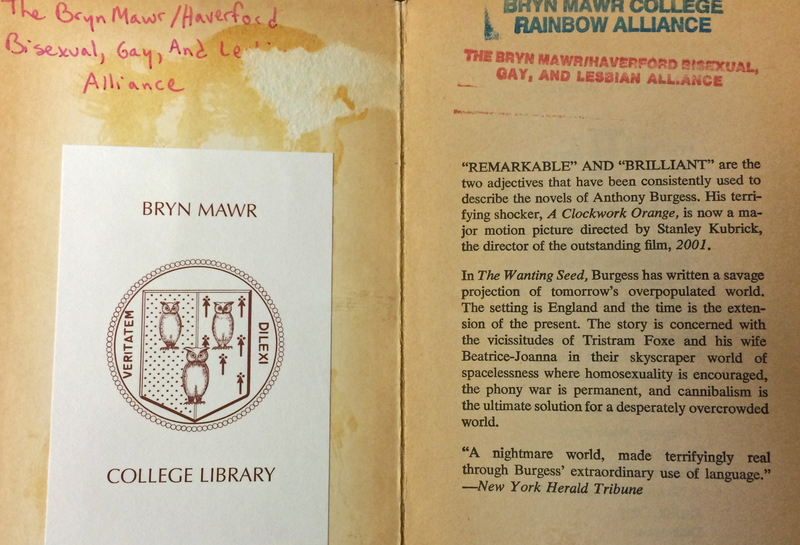 I spent several afternoons/evenings in the RA Library in Erdman with my then-girlfriend cataloging and stamping “Bryn Mawr College Rainbow Alliance” into them. 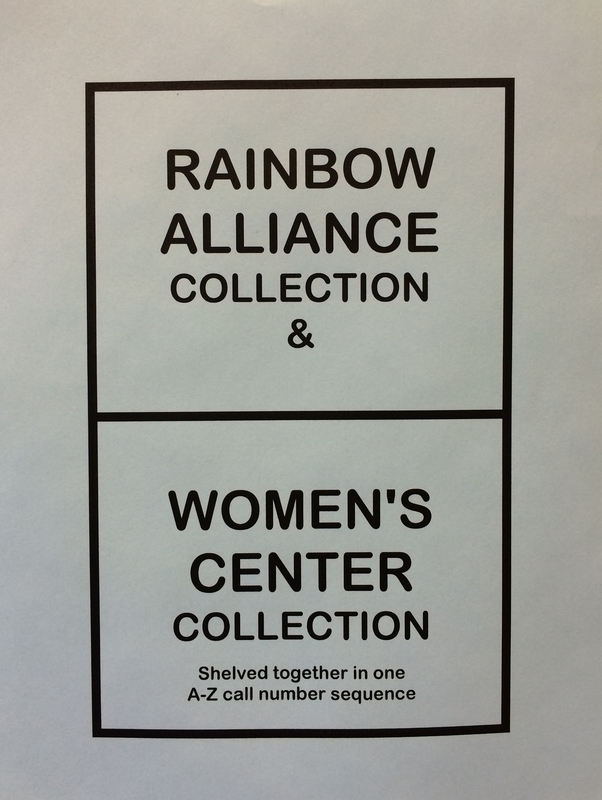 Also, we worked hard to get them moved into the just built Cultural Center space on Cambrian Row, as Rainbow Alliance was at that time (is it still?) a part of the Cultural Groups. RA had taken pride in having a small part of the campus, and it was sad to imagine the one LGBT spot disappear. Does it have a home on campus anymore? 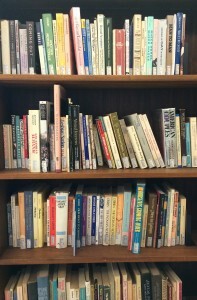 Fortunately, while Rainbow Alliance as a club no longer has a physical space on campus, the books live on as a permanent collection in Canaday Library. 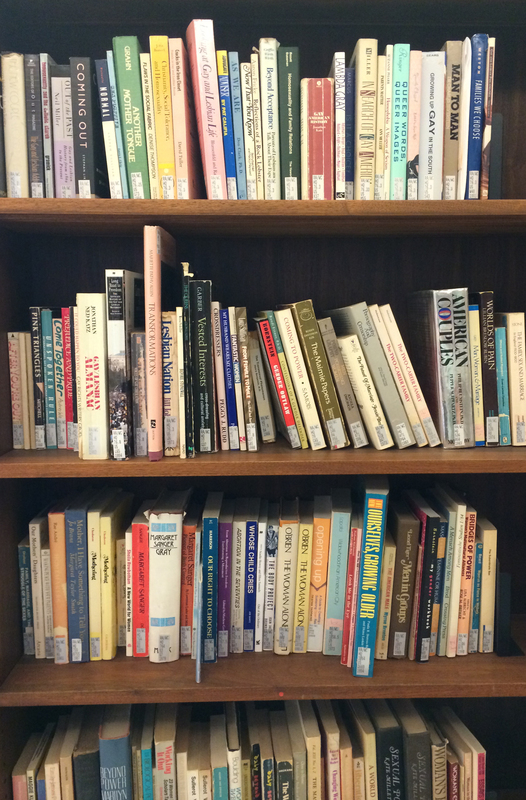 Personally, I think the books are more accessible in their current location, because the Pensby Center (formerly known as the Office of Intercultural Affairs) is on the very far end of campus, whereas Canaday is nicely centered. Thank you so much for these specifics! I’m excited for this archival un-burying, and I hope to use your details in future pieces of the history. 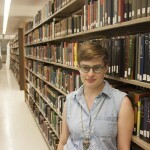 Please keep in contact, and next time you’re near campus, stop in to Canaday and say hi to both us and the collection! I remember this collection! And a bunch of those books were still in that upstairs Campus Center room while I was there (fall 1990 – spring 1994). Thank you for tracking them down!